A private security company run by an ex-special forces colonel, who famously gave a rousing speech on the eve of the Iraq War, is now under investigation by a US government watchdog for alleged fraud. 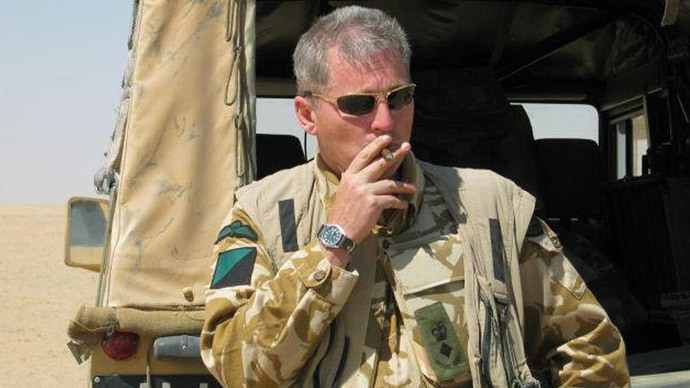 Colonel Tim Collins, who was investigated for war crimes, now finds his firm New Century Consulting (NCC) under the spotlight as part of an ongoing investigation into the American defense contractor Imperatis by the US government’s Special Inspector General for Afghanistan Reconstruction (SIGAR), the Independent reports. SIGAR’s remit is to “promote efficiency” and “detect and prevent waste, fraud, and abuse” in Afghanistan. In the process of fulfilling a Pentagon contract, nearly $130 million in “unsupported” and “questioned” costs were paid to NCC, the SIGAR audit of Imperatis found. SIGAR’s head John F Sopko said in a statement: “When you accept $135 million from the government you are responsible for knowing how the money was spent. Collins, who is a signatory to the founding principles of controversial neo-con think tank The Henry Jackson Society, is one of the UK’s most prominent and vocal military figures. He is best known for delivering a rousing televised speech shortly before the start of the 2003 Iraq War. At the time, the Belfast-born head of NCC was Commanding Officer of the First Battalion of the Royal Irish Regiment. More recently he has been an outspoken critic of those legal firms which have, on behalf of Iraqi clients, pursued abuse, murder and torture cases against the UK government from the Iraq War era. Collins has often accused those prosecuting such cases of “ambulance chasing” and “bean-feasting” on public funds. The publicly-funded Pentagon contract, which Collins’ NCC has been fulfilling for Imperatis, included providing a range of services in Afghanistan. One of the firm’s aims is to train Afghan security personnel as part of the post-occupation Legacy East project by utilizing the lessons learned fighting the Irish Republican Army (IRA) and applying them to the severely destabilized Middle Eastern state. Both NCC and Imperatis contest the findings of the audit.